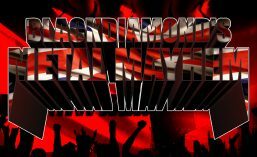 Blackdiamond’s Metal Mayhem on Tuesday 18th December featured my choices for the Top 10 Albums of 2018! It’s been another epic year for rock and metal music, with so many excellent album releases and it was more difficult than ever to narrow it down to ten, which you can see by my unprecedented triple number 1!! All the albums along with their stunning artwork can be seen below. The show, which aired on http://www.totalrock.com will soon be available to listen to on Mixcloud here and the full play list will be posted separately. Many thanks to all the epic bands for the music and the record company and PR staff who provide me with a constant stream of new material to present on the show! And massive thanks to all the listeners – wishing you all a Merry Metal Christmas and a very Happy New Year! This entry was posted in News, Radio Shows and tagged Blackdiamond's Metal Mayhem, Top Ten Albums of 2018, TotalRock. Bookmark the permalink.